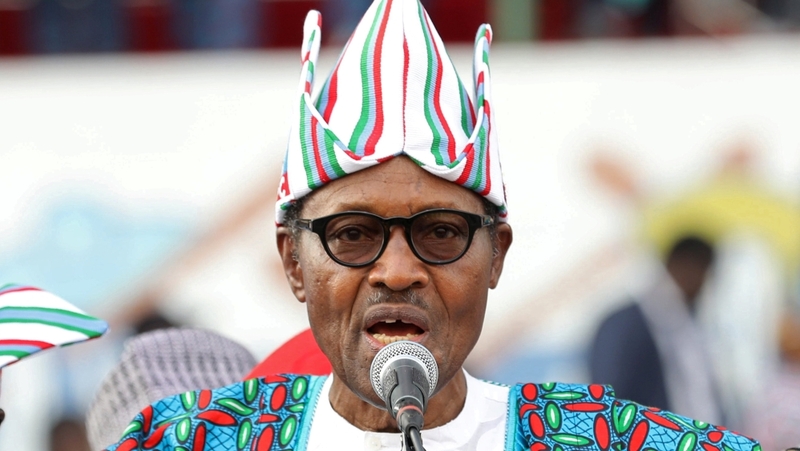 Home Uncategorized Has Nigeria’s President Muhammadu Buhari honoured his promises? 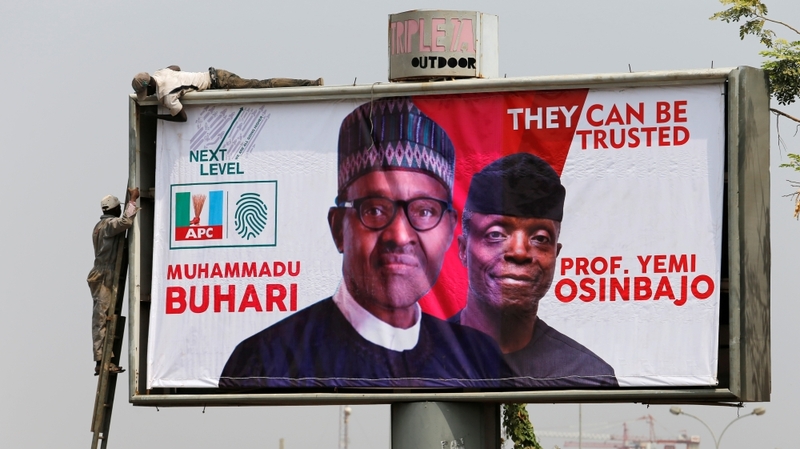 Lagos, Nigeria – Hundreds of thousands poured onto Nigeria’s streets to celebrate Muhammadu Buhari’s historic president election victory in 2015, hoping Nigeria’s problems would be solved with his win. The former army general defeated rival Goodluck Jonathan by more than two million votes on the strength of his grassroots appeal and his military background. However, with the 2019 elections taking place on Saturday, his supporters are questioning his time spent in the office. “I don’t want to vote for the president [Buhari] again. I don’t think anything will change,” Christopher Akanbi, a businessman in the commercial capital, Lagos, told Al Jazeera. The 52-year-old voted for Buhari in 2015. It was the first win by an opposition candidate since Nigeria’s return to civil rule. “I campaigned with everything I had. I encouraged my family, convinced my friends and even made enemies because of my role when he defeated Jonathan,” said Akanbi. “He has disappointed many of us and I can’t support him anymore. Buhari assumed office on the heels of the abduction of more than 200 schoolgirls from Chibok in the country’s northeast Borno state by the Boko Haram armed group. Shortly after he was sworn in, Buhari relocated the country’s military command from Abuja to Maiduguri, the birth place of Boko Haram. Like many petrol states, Nigeria depends heavily on oil and has failed to diversify it’s economy to withstand sudden price shocks. It was ill-prepared to cope with the sharp fall in oil prices that began in 2014. Attacks by armed groups on oil facilities also contributed to economic woes. By 2016, the country had slipped into recession and didn’t return to positive growth for over a year. Muhammad Abdullahi, an economist, told Al Jazeera that the president’s team should have managed this difficult situation. “Unfortunately, there was a recession. But the indicators had always been there. Failure to plan for the rainy day was met with stiff resistance by the governors of the era, which meant that the country had no buffer when oil prices slumped,” said Abdullahi. “The government’s economic recovery and growth plan has seen a return to almost two percent growth, but given our population-growth rates, we need a minimum of 3.5 percent to witness positive growth,” he said. Last year, Nigeria’s poverty rate hit an all-time high, surpassing India. More than 60 percent of Nigerians live in extreme poverty, at less than $1.90 a day. An estimated three million jobs have been lost since 2015, according to the national bureau of statistics. Opportunities are decreasing in number as some firms have found it tough operating in the country and ceased trading. Ayodele Segun, a Buhari supporter, told Al Jazeera that the affected firms were mostly those whose business module were not professionally aligned – organisations that depend on government patronage and are not able to comete because of lack of skills or the desired workforce. “Most of them are briefcase companies [not structured or existing on paper only],” said Segun. Some of them were given jail sentences while others ended as mere media trial after suspects were acquitted. Corruption charges against some public officials and politicians have been put on hold as some of the accused are now part of Buhari’s campaign team. Buhari has blocked perceived leakages in government, for example faulty contract-bidding process and lack of financial documentation. This has made it more difficult to indulge in brazen corrupt practices. The opposition, however, said the president’s campaign against corruption is selective and targeted only those outside the ruling party. 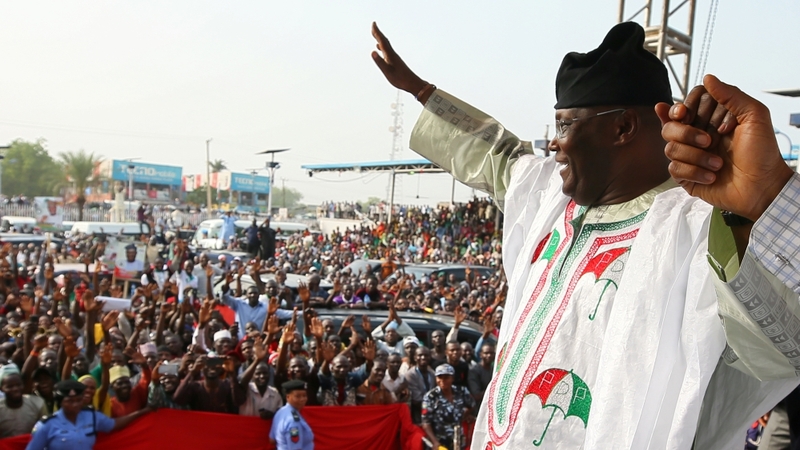 Buhari’s challenger Atiku Abubakar, a businessman, has been campaigning on the strength of his experience in the private sector to fix the economy and create more jobs. “A policy programme that does not have fighting corruption at its core is destined to fail,” Buhari said in a social media post on Sunday. He said “the vested interests at play can make this fight difficult”. California’s fire dilemma: Rebuild knowing same homes will burn again?